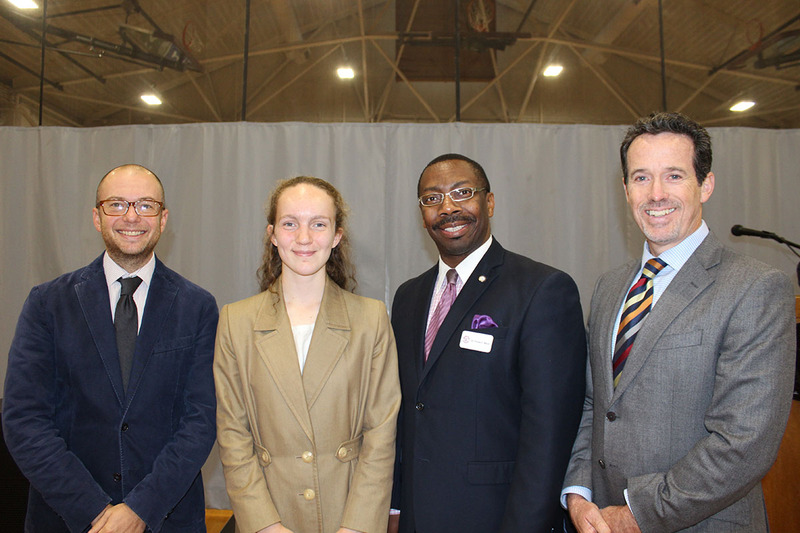 Head of School, Matthew Byrnes, recently announced that Julia Bauer has been named a Commended Student in the 2019 National Merit Scholarship Program. A Letter of Commendation from National Merit Scholarship Corporation (NMSC), which conducts the program, was presented to this scholastically talented senior. "We are so proud of Julia for being a National Merit Commended Scholar," remarked Adam Kendis, Co-Director of College Guidance. "Julia is one of the hardest working students at Wooster and she constantly strives towards our shared ideals of gentle, generous, truthful, kind, and brave. Congratulations on this deserved recognition, Julia!" "The young men and women being named Commended Students have demonstrated outstanding potential for academic success," commented a spokesperson for NMSC. "These students represent a valuable national resource; recognizing their accomplishments, as well as the key role their schools play in their academic development, is vital to the advancement of educational excellence in our nation. We hope that this recognition will help broaden their educational opportunities and encourage then as they continue their pursuit of academic success." The National Merit® Scholarship Program is an academic competition for recognition and scholarships that began in 1955. High school students enter the National Merit Program by taking the Preliminary SAT/National Merit Scholarship Qualifying Test (PSAT/NMSQT®)—which serves as an initial screen of approximately 1.6 million entrants each year—and by meeting published program entry and participation requirements.